With Thrive Whole Wheat Flour you can make decadent desserts, fluffy breads, and savory entrees. 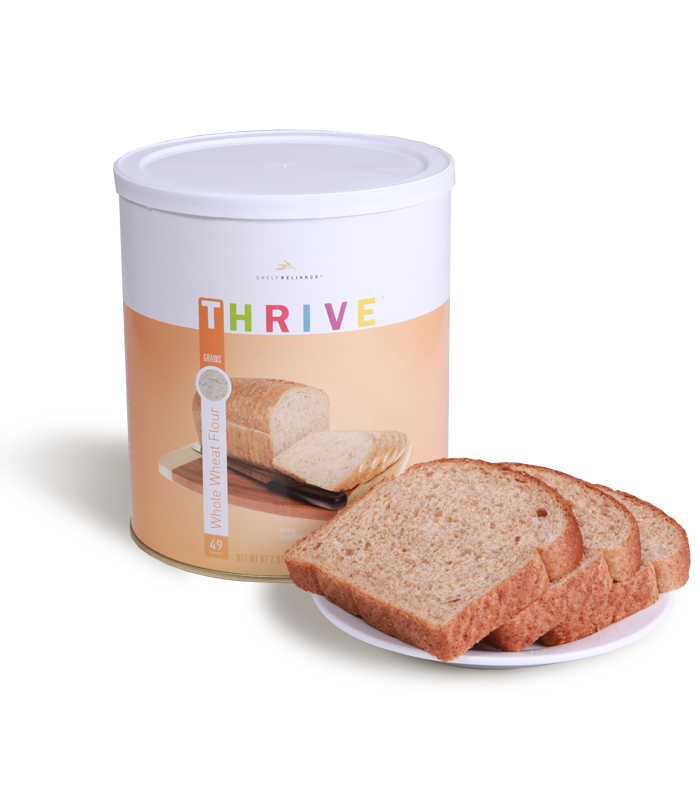 Whole wheat flour is a great source for the complex carbohydrates your body needs to stay strong and healthy. You can take small steps towards better nutrition by replacing half of the white flour with whole wheat flour in some of your favorite recipes; this simple change will give you the benefits of a diet with more fiber. Use as you would store-bought flour. Our White Flour is enriched with vitamins and minerals, and our Whole Wheat adds the health of whole grains, making either a great choice for using in all your baked goods. Rice flour is a great gluten-free alternative to wheat in breads, rolls, muffins, and more.